TV COVERAGE: BTN. Craig Coshun and Shon Morris will call the action. LINE - Iowa is a 3 point favorite at home. It's Senior Day. The crowd should be jacked. The players should remember what went down last time these two teams played. I do not expect any love lost between the Hawks and Lions. I'm on the road today, so I am not going into depth in this prediction/preview. 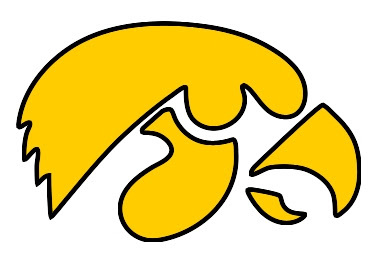 But I will say this, I like Iowa in this one and I like them big. I haven't been able to say that about this team since The Citadel game. PSU is a decent team, but I really like the matchup today. TODAY'S PROJECTED HAWKEYE KILLER: None. Iowa is going to shut down the Lions, especially Talor Battle.